Mainstreet Place is located in the West End of Downtown Calgary. This property has Downtown Calgary apartments for rent that are blocks away from Millenium Park and the popular transportation routes of Bow Trail & 14th Street West. 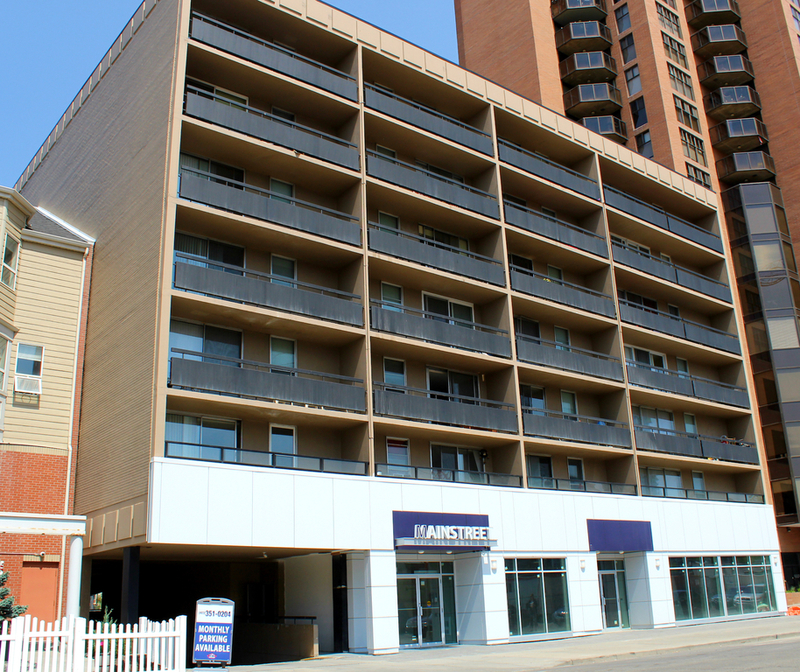 Mainstreet Place is in an up and coming downtown Calgary location. The back side of the property is along the LRT / CTrain line. Downtown West - Kirby CTrain Station is steps away from the property, providing public transportation accessibility for residents. Mainstreet Place is a pet-friendly and family-friendly property. Mainstreet Place rental apartment building is located just one block from The Downtown West-Kerby C-Train station. This downtown property is within close proximity to the downtown core, with retail shopping, restaurants, and specialty stores nearby.